This anti-stress and fatigue erasing mask smooths and relaxes the facial features with its rich and creamy texture. Within a few minutes, it gives the same results as a great night of sleep. Recommended for all skin types. Apply a thin layer for 3 minutes, a thick layer for 20 minutes, or a dollop under the face cream without rinsing. This makeover treatment immediately reveals the glow of healthy skin and improves the complexion day after day. 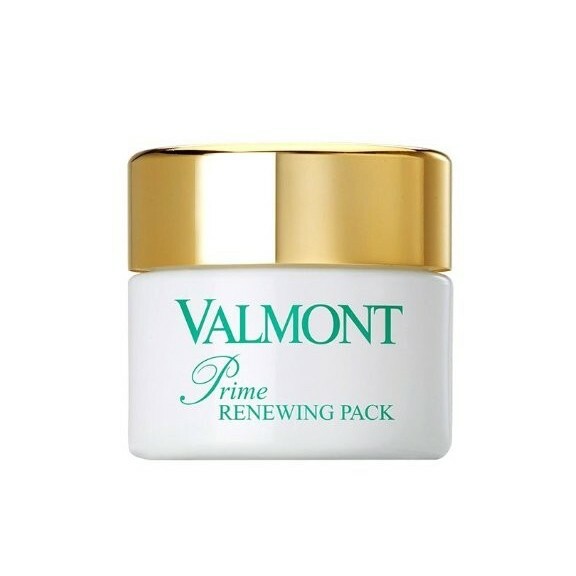 A mask-cream with a light texture—rich, not greasy—Prime Renewing Pack instantly smoothes and relaxes facial features. Like a good night’s sleep in just a few minutes, it reveals a fresh and radiant complexion without impurities. The skin is soft, fresh and visibly smoothed. An indispensable product for the bathroom and to take on every trip! Spread a thick layer on clean, dry skin and, after massaging, leave for 15-20 minutes.